inFlow is a dedicated inventory-management software package aimed again at those small and medium-sized businesses. The free package lacks some high-end features and limits users to 100 products and customers, and only 13 reports. You also miss out on some advanced user features and inventory management options too. But it lasts forever, and will suit many SMBs. Procurics is an open source inventory, vendor and catalogue management tool offering a range of services for small businesses to larger enterprise accounts, from real-time reporting to an e-commerce-like market place. Procurics offers a free 14-day trial offering all the content from a full package. From Losoftware, Rightcontrol is dedicated inventory management software, and the free Lite package offers support for ten product lines. You get invoice and receipt generation tools too. If you are running a small or solo business, Rightcontrol Lite is well worth a look. Aimed at small to medium businesses, Sellsy is an open source management tool that enables users to control their inventory, costs, invoicing and margins. Sellsy offers a 15-day free trial of all of its services. 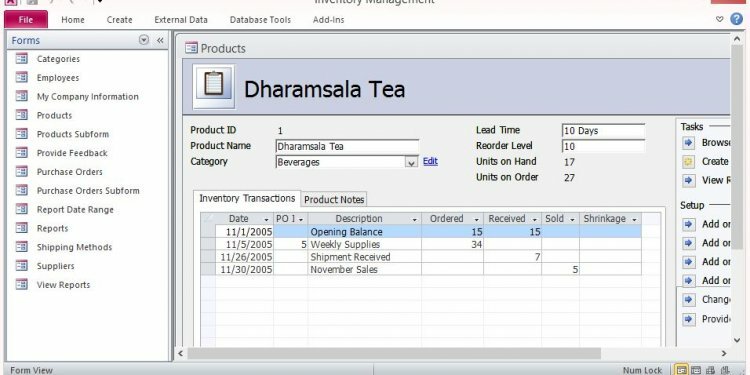 OCS is an inventory management tool that enables office workstation automation that supports Microsoft Windows, Linux, BSD, MacOS X, Android, IBM AIX and more, providing inventory management software to both virtual and physical machines. OCS offers a Perl plugin that monitors server inventory and stock information held in databases. However, being open source, like most listed, plugins can be adapted for each inventory management tool. vtiger is a full-blown CRM package that includes a powerful inventory management component. vtiger supports inventory management functions such as sales quotes, purchase orders, and invoices. The cheapest package starts at $10 (£7.61) a month, but there is a 15-day free trial. FusionInventory offers an open source inventory management system that controls local inventory, software deployment or network discovery. Fusion also provides an integrated GLPI (an IT asset management tool written in PHP) so users can build a database and inventory in which daily administration tasks can be pushed out, such as mail notifications and network topology.